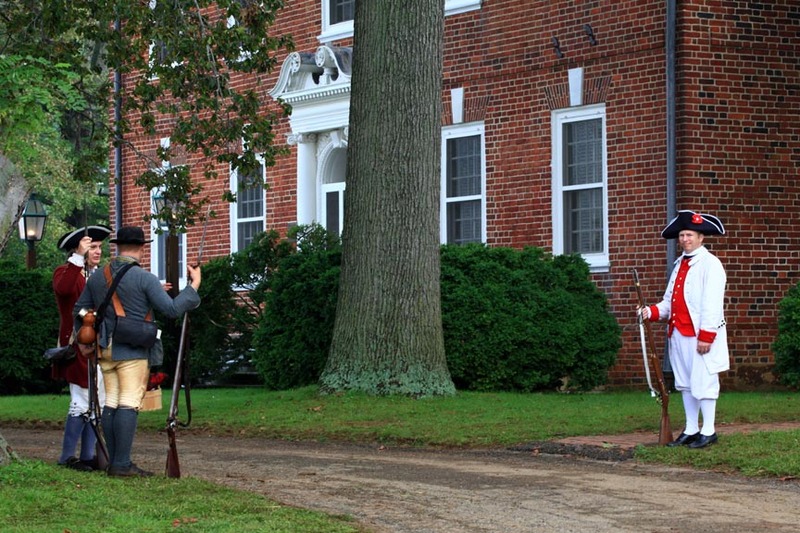 Mount Harmon is the northern most colonial-era Tidewater Plantation in the Chesapeake region open to the public. Mount Harmon prospered as a tobacco plantation, and was restored by a direct descendant of it’s colonial owners, Mrs. Marguerite du Pont Boden, to its heyday during the gilded age of agriculture and trade in Maryland’s early colonies. Mount Harmon is open for guided tours May ~ October, and is available year round by appointment for school field trips and special group tours. Mount Harmon is also available for weddings, corporate retreats, and private functions, and makes a spectacular setting for any special occasion. The plantation is situated on a peninsula formed by creeks and inlets of the Sassafras River in Cecil County, Maryland, known on early maps as World’s End. Mount Harmon is listed on the National Historic Register, is an official Chesapeake Bay Gateway Network site, and is located along the National Scenic Byway. Mount Harmon is owned and administered by Friends of Mount Harmon, Inc., a non profit organization dedicated to the preservation and interpretation of Mount Harmon, for the public’s education and enjoyment. Guided tours and programs provide visitors with a first hand experience of a colonial-era tobacco plantation, as well as shed light on the role of the du Pont family in Mount Harmon’s preservation. Friends of Mount Harmon conduct ongoing research and present programming to bring to life the rich history of Mount Harmon. A current project to update Mount Harmon’s slave history is entitled “Altered Journeys” and seeks to illuminate the complex histories of those who lived and worked at Mount Harmon including the indentured servants, enslaved people, and tenant farmers who called Mount Harmon home. Manor house, colonial kitchen, smoke house, formal boxwood garden, tobacco barn, rare prize house, Carriage House Education & Discovery Center, nature trails, and 200-acre nature preserve. 200 acres of pristine open space, with nature trails, abundant wildlife and rare flora. 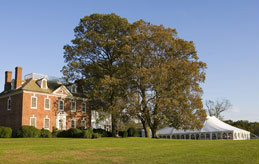 Brick Georgian Manor House circa 1730, furnished with American, English, Irish, and Scottish antiques, and restored to reflect its colonial period. 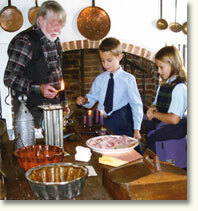 Colonial Kitchen furnished with 18th c. kitchenware and artifacts. Prize House, where tobacco was “prized” into barrels before shipping overseas. Education & Discovery Center, featuring Mount Harmon Highlights in History Exhibit and hands-on curriculum-based Educational Programming. Formal brick serpentine walled boxwood garden.